Hands can be tricky to draw. The anatomy seems more complex than other forms created by the figure. There are subtle proportional cues to keep in mind. 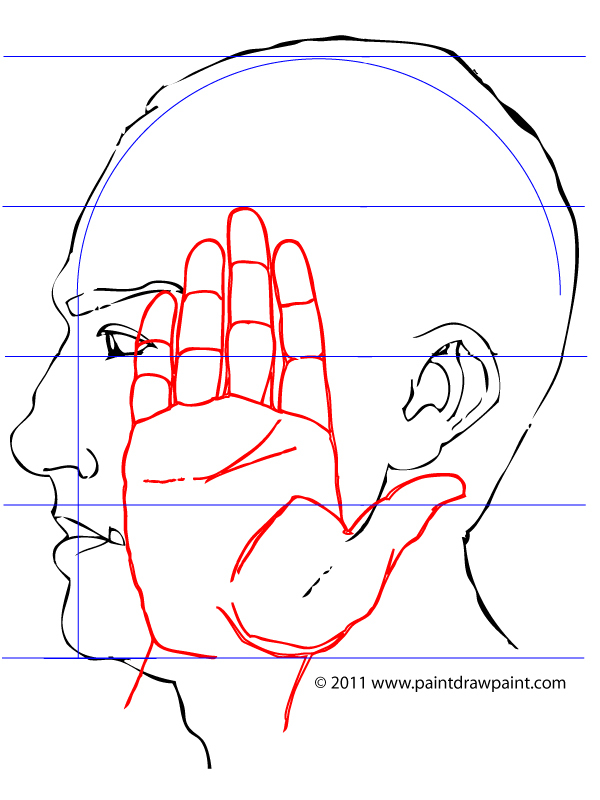 Also, the forms and shapes found in the hands must interlock well in order to read right. 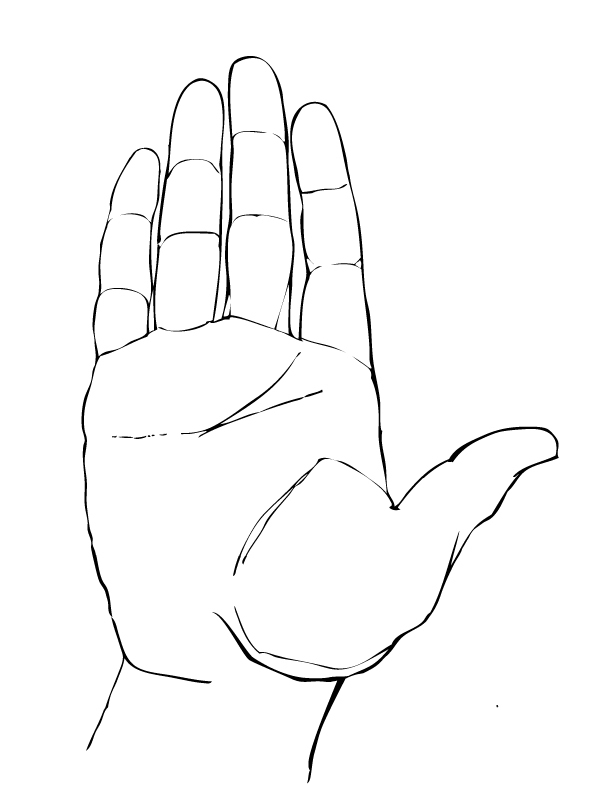 For these reasons, I find hands a challenge to draw. Remember that when discussing proportions of the figure these are just general guides to give us a starting point. There will be some variation from these guides as each individual is different. 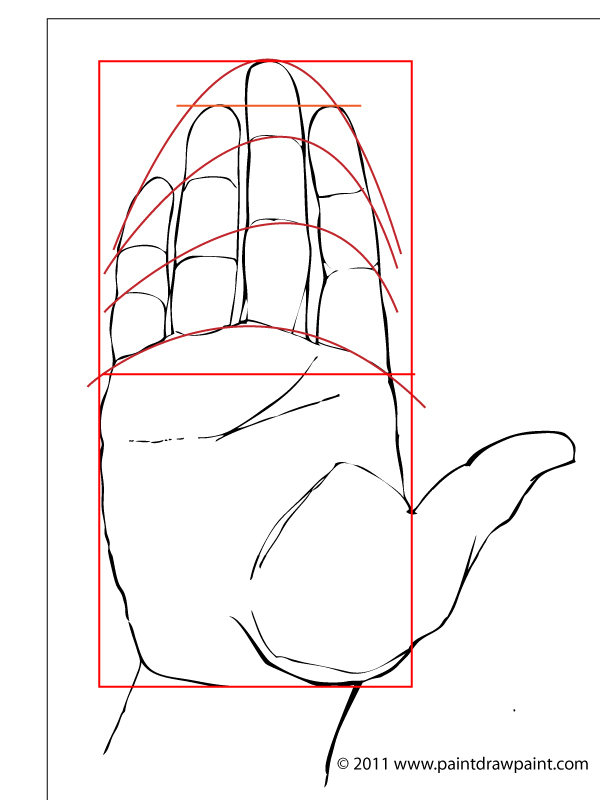 Lets take a look at some of the proportions of the hand. 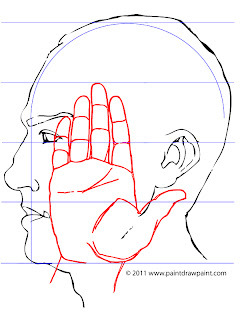 In general, the hand is three quarters the length of the head, as measured from the chin to the top of the head. 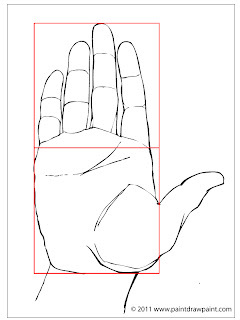 This is good to keep in mind so that we can keep the size of the hands proportional as compared to each other and the rest of the figure. 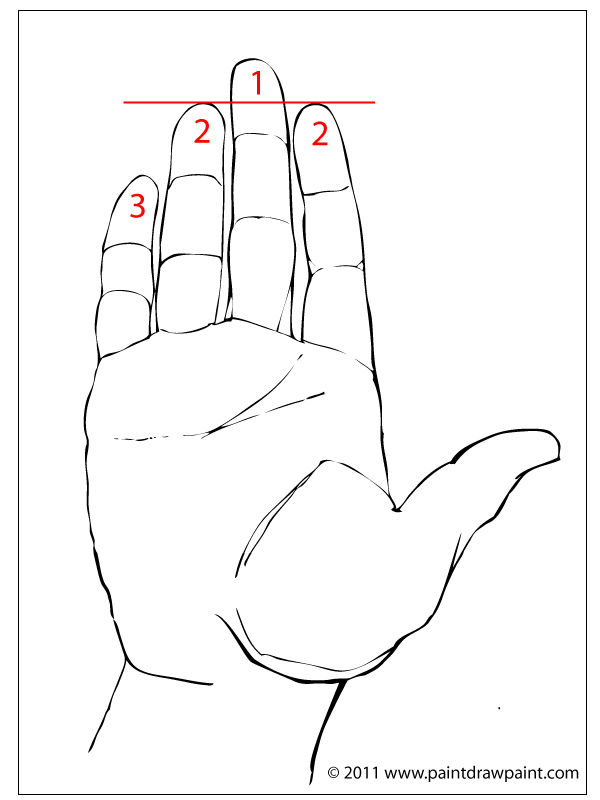 The hand can be divided in half at a point just below the fingers. 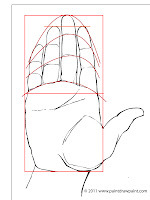 This tells us the palm is just slightly longer than the length of the longest finger. Imagine a line tracing the tips of the fingers. That line will curve as it follows the tips of the fingers from one side of the hand to the other. When following the joints of the fingers from one finger to the next you will find the line that you create curves as well. 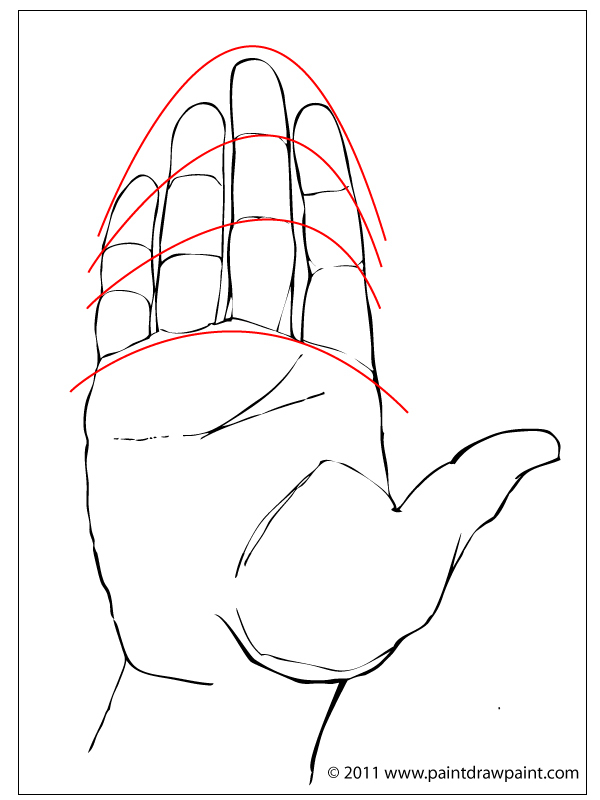 The curvature of these lines are less dramatic as you move down to the knuckles on the hand. I have learned two different proportional guides to the lengths of finger relative to one another. There only a slight difference between the two, as only one length changes. Both proportional guides are correct as there is variation from one person to the next. You will see some people have fingers that conform to the first guide and others that conform to the second. There is even variation from these guides as well. Again, it is good to remember that the guides are to get us started. 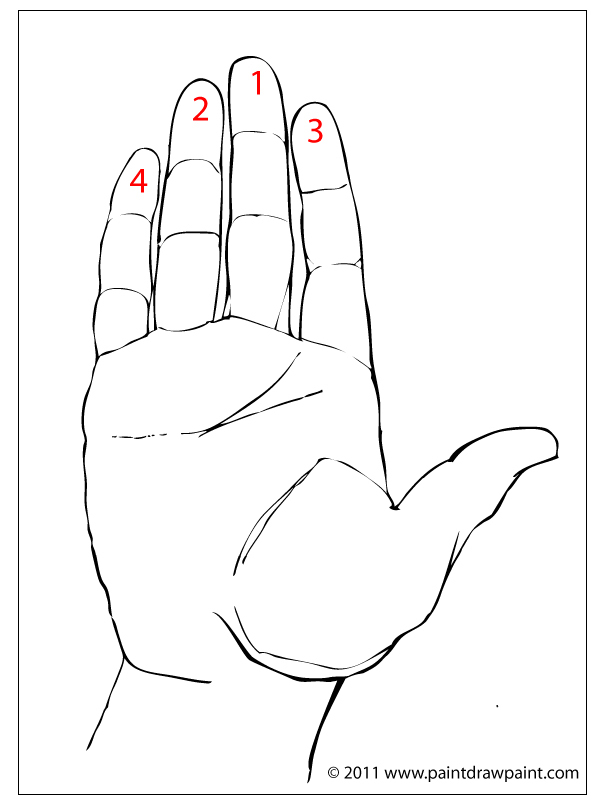 Just as a side note, Wikipedia writes that there is some research that has been done to suggest the reasons for the variation in finger lengths. 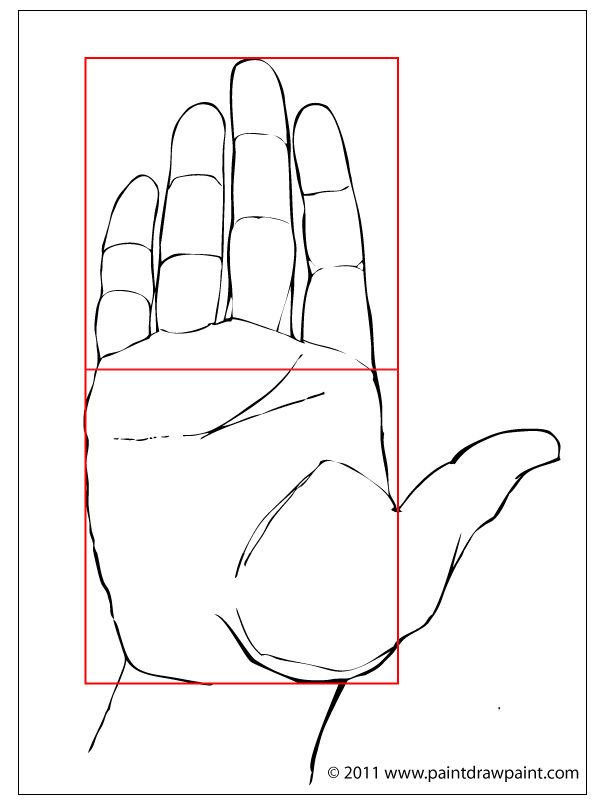 Starting with simple shapes to block in the forms of the hand we can use these proportional guides to help refine those shapes and draw a good likeness of a hand. Hi! This article is very well prepared. with all the details. Congratulations and thank you.